Wondering what life was like below stairs? 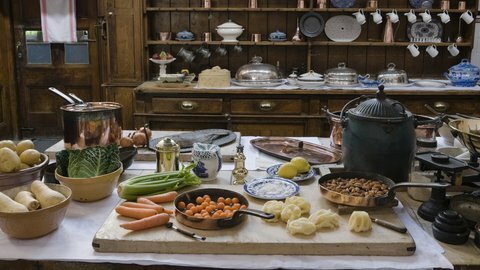 Today you can get a taste of life downstairs from the Tudor hearths to the highly organized operations of the late Victorian and Edwardian households so familiar to devotees of Downton Abbey by visiting National Trust homes. 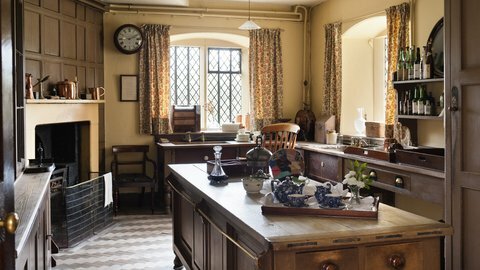 Many of the historic homes owned by the National Trust have sculleries, butteries, kitchens, dairies, butlers’ pantries, servants’ bedrooms and other ‘downstairs’ rooms that you can explore. 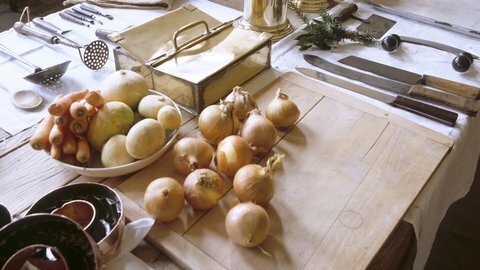 Get a taste of life below stairs by visiting these kitchens on your next trip to the U.K.
A splendid country house that boasts four centuries of history, this estate was once the home of the Boleyn family. Upstairs, there are plenty of elegant rooms to explore. Downstairs, in the kitchens and basement rooms, you’ll hear tales of the servants’ lives. Seat of the Earls of Belmore, Castle Coole includes the State Bedroom prepared for George IV. The vast basement and servants’ quarters at Castle Coole have been restored so that you can get an authentic experience of life below stairs. You can visit a whole host of rooms including the Footmans’ Room, Wine Cellar and Servants’ Hall. See the last castle to be built in England and experience this surprisingly warm and comfortable family home full of the luxuries of early 20th-century life. The servants’ quarters include larders, sculleries, butler’s room and pantries, all finished with a rare attention to detail. Discover the world of Lord Armstrong – Victorian inventor, innovator and landscape genius. A temple to high Victorian technology, Cragside was the first house in the world to be lit by hydroelectric power and the Prince of Wales himself visited to see ‘the palace of a modern magician’. 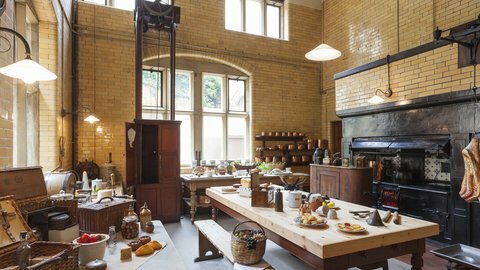 The house included labour-saving gadgets for the servants such as a hydraulic lift, and early versions of a gas stove and dishwasher. earn more about Dunham Massey’s scandalous owners, including the 7th Earl of Stamford and the 2nd Earl of Warrington. Behind the scenes, a host of servants helped maintain this magnificent Georgian estate. 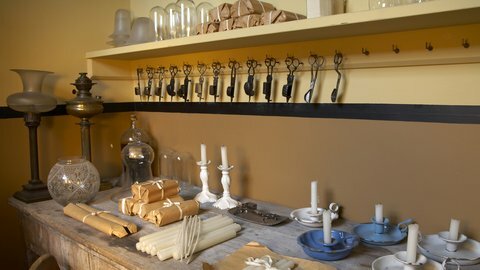 Discover their stories as you tour the laundry, servery, butler’s pantry and complete range of kitchens and sculleries. Described as ‘the jewel in the crown of Welsh country houses’, Erddig is a fascinating yet unassuming early 18th-century house, which reflects a gentry family’s 250 years of upstairs, downstairs life. The Yorke family had a close relationship with their servants and commissioned portraits of them which you can still see today. You can also tour the kitchen, still room and bakehouse. Ickworth is a sweeping, impressive house with extensive servants’ quarters that have been brought to life through the Ickworth Lives project. 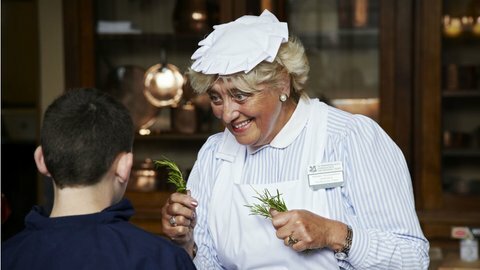 Using original audio recordings and documents, we’ve recreated the authentic stories of servants in Ickworth during the 1930’s. 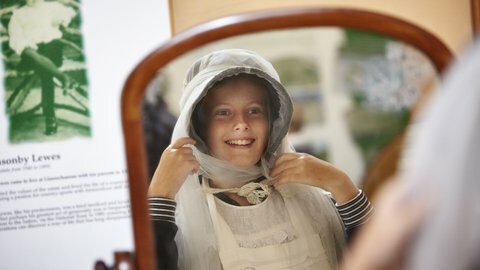 You can join a guided tour or take part in hands on activities to learn about their lives. You’ll see the finishing kitchen, servants’ hall, cellars, servant bedrooms, house-keeper’s room, speaking tubes, bells and other rooms needed to run the affairs of the grand rooms above. The home for generations of the Robartes family, Lanhydrock has the feel of a wealthy but unpretentious Victorian family home​. Lanhydrock was rebuilt after a fire in the 1880s, and the house is very well preserved from that time. 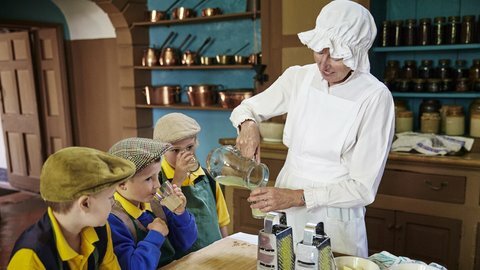 You can experience the life of the servants in the plethora of downstairs kitchens, larders and sculleries as well as the nanny’s bedroom and luggage rooms. Experience a rare example of an 18th-century Welsh gentry estate with its upstairs rooms full of elegant furniture and accessories. You can also wander through the complete service courtyard, largely unaltered from its original form, with dairy, salting house, brewhouse, laundry and many other rooms. Home of the Dawkins-Pennant family, this estate boasts opulent interiors, glorious gardens and stunning views. A warren of fascinating servants’ rooms includes special areas for brushing hats, cleaning shoes and lighting lamps as well as butler’s pantry, sculleries, kitchens, larders and household offices. This vast late-17th-century mansion has been in the hands of the Wyndham family for the past 250 years. Current descendants live in the south wing, allowing much of the remainder to be open to the public. 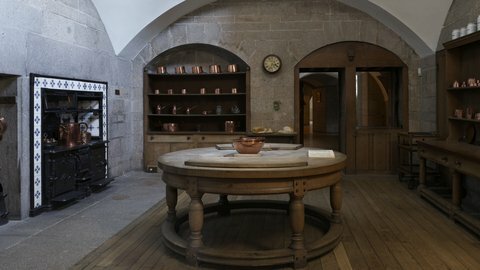 The hauntingly atmospheric servants’ quarters reveal the huge kitchen with its extensive copper batterie de cuisine, along with larders, still rooms, pastry room and the chef’s sitting-room. Discover the world of Sir Harry, Lady Emma Hamilton and the dairymaid who married her master at this great house, now restored to its former glory. Remarkably, the basement largely escaped Uppark’s devastating fire in 1989 and the servants quarters include beer and wine cellars, butler’s pantry. 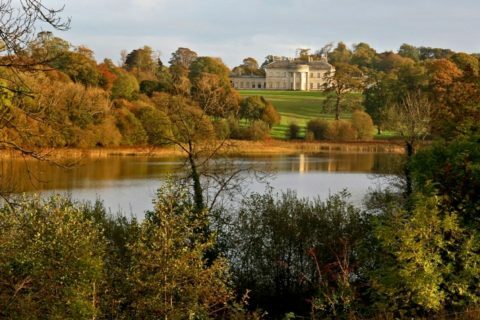 At one time, the housekeeper of Uppark was the mother of writer H.G. Wells. This was the Rodney family home for nearly a century before it was gambled away and acquired by the Cawley family. 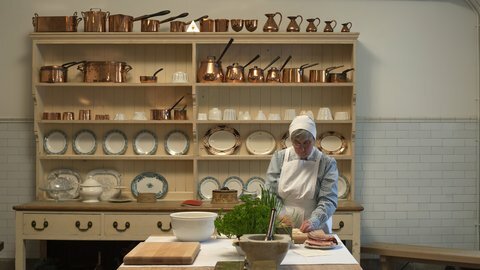 The restored servants’ rooms include the butler’s pantry, footman’s room and laundry room, and the beautifully decorated dairy, which has been perfectly preserved. On a tour of the rooms, you can try out tools and discover how servants moved around the house unseen by the family and guests.